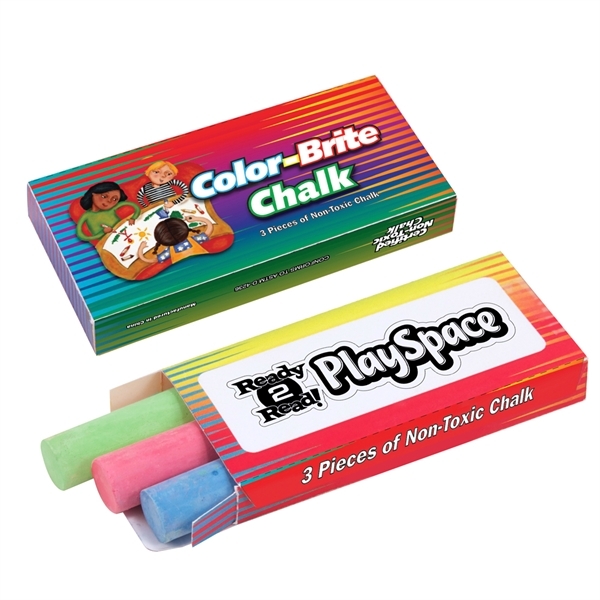 This thick, Color-Brite Chalk is perfect for chalkboards and sidewalks! Safe and certified non-toxic, this product conforms to ASTM D-4236. There are three pieces of chalk inside the 3 1/4"w x 1/5"h box (red, blue and green). An ideal giveaway for schools and summer camps, this item is perfect with your company name or special message added to help increase your brand awareness. "Draw" some positive attention to your business and order today! Size: 1.5 " x 1/2 "